We started with the pad, an evolution of the chamois we used successfully in our Mistral bib tights. 4 individual density memory foams, guarantee excellent support and the ergonomic shape tracks the pedalling motion to give superb freedom of movement. 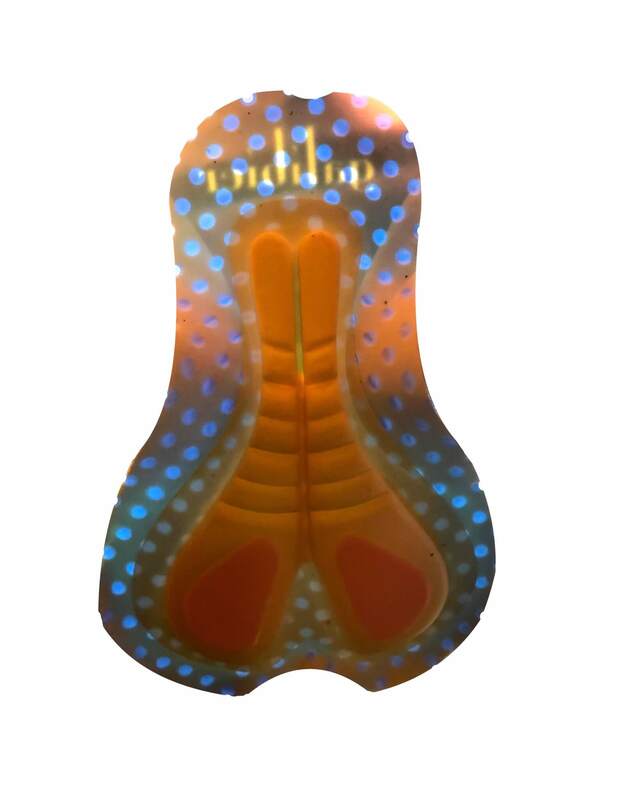 This 3D pad, retains performance and is perforated to maximise breathability. The result is even greater comfort over long distances. The transparent mesh upper is incredibly light and features high-stretch trims to eliminate chafing, without compromising on fit. We designed the Peloton to be fast by concentrating on optimizing aerodynamics: flat stitching and minimal panels with target seams. The 4-way, soft stretch, lycra remains 100% opaque at full stretch and is stitched to flush fitting, 45mm, soft leg grippers. Our most popular short in 2018, we have restocked offing more sizes and greater quantities which has permitted us to lower the price. Same high quality now under £50. 5star UVA sun protection under 160 grams (M). 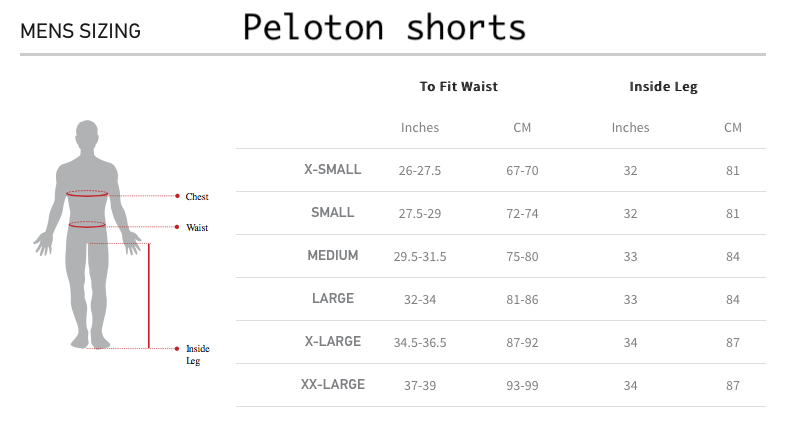 Material is high 4-way stretch.So please check this accurate size chart against your own measurements. Italian made 4 layer, 4 densities of perforated memory foam. Highly Breathable and smooth profile against the skin. Super comfortable. 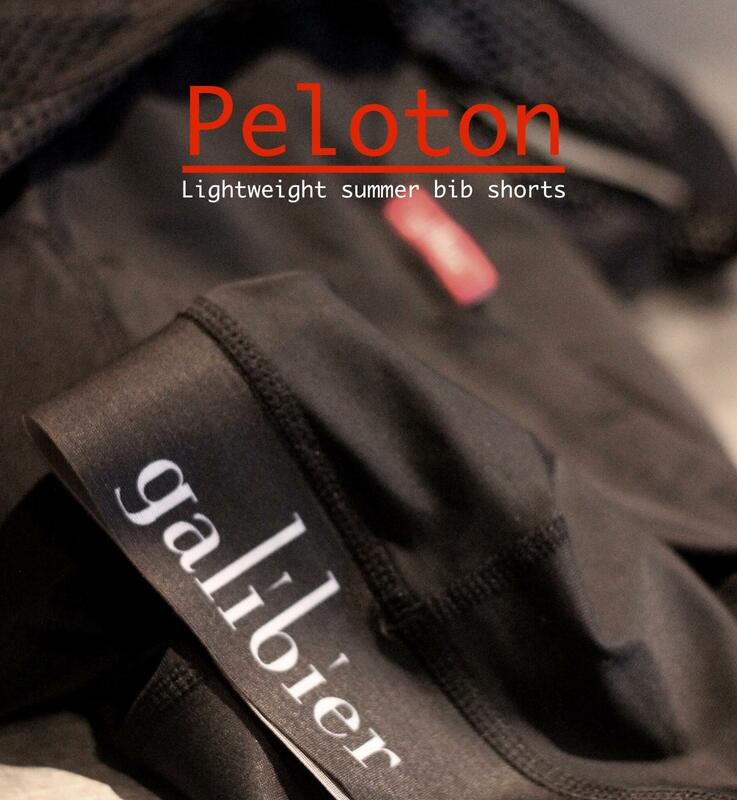 These are my 3rd different different bibs from Galibier and they have all been excellent. Well worth the money. I’m 168cm/54kg and the ‘Small’ fits perfectly. Wow! Awesome, subtle, cool in hot weather and very comfortable. I took it to the test (without riding it before…quite some risk….) at the “Jean Nelissen Classic”. An organised ride in Luxembourg. I rode 125km with 2500 altitude meters (if that is the right expression). 6 hours+ in the saddle. All this at 25+ degrees Celsius, on a very humid day. The Peloton bib short worked really fine for me. Good fit, comfy pad. They say there is only one chance for a first impression. Well, this was it, and it was very good. 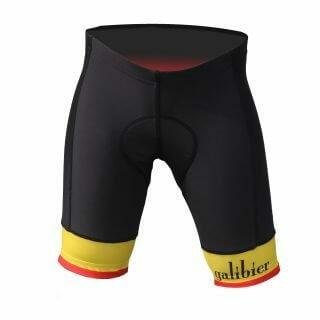 Ordered a pair of these as I don’t ride well in hot weather. Bought the XXL as I’m 6ft and about 15 1/2 stone /100kg. The 1st ride? 32 miles and 3000ft of climbing – I didnt even notice them, no adjustments straight from the word go. 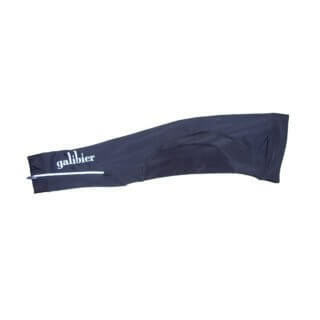 Another great bit of kit from Galibier! Great pad and agree that I hardly felt like I was wearing them. Grippers are good without being too tight and rubbing. Great under a lightweight jersey for the hot weather we’re currently having. Definite value for money and can’t wait to wear them on the London 100 in a few weeks. Worn in a gruelling 128km stage of a 3day race event in sweltering heat and saddle comfort was never an issue. Chamois is lightweight, cool and unrestrictive. Large at 5″9 and 72kg is ideal for me. My new go to race shorts. Brilliant. The padding is like nothing I’ve experienced, sitting on a cushion of air! Very comfortable all around! Top product!! Lightweight, cool and comfortable, I never notice them on rides. Used on Dragon Ride Etape Wales and a week in the Alps including Telegraph/Galibier. Joined my set of core bibs, these for summer. The price is a steal. 169cm/71kg I wear medium. Really good fit and extremely comfortable. The padding is best I’ve had to date. Absolutely fantastic product and excellent value. 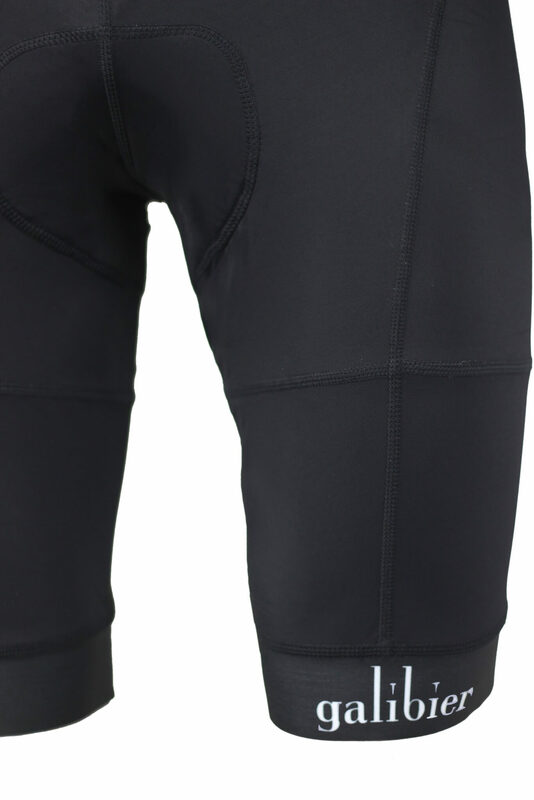 Fantastic fit lightweight shorts with the right amount of padding in the right places! More comfortable than much more expensive shorts and great customer service! Have recommended galibier to many friends! I broke these in on the Sa Calobra last weekend in temps up to 98 degrees they performed absolutly brilliantly. The pad is exceptional and the shorts displaced moisture and was never an issue even though it was like cycling n a hair dryer. The only minor iritation was where the seams cross on the leg did start to rub a bit, but hopefully this will receed with washing and wear. 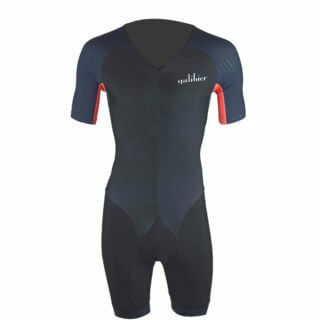 Why pay stupid money for other companies clothing when Galibier price and quality is superb. 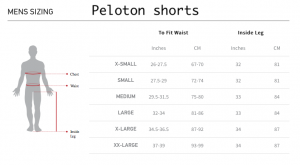 Unsure about the correct sizing for bib shorts I emailed Miles at Galibier for advice. After a prompt response to my email, I received my new shorts first thing on the Tuesday morning after only ordering mid-afternoon on Saturday – how about that for speedy service? I managed a quick 18 mile spin before work today to try them out and my first impressions are really positive. 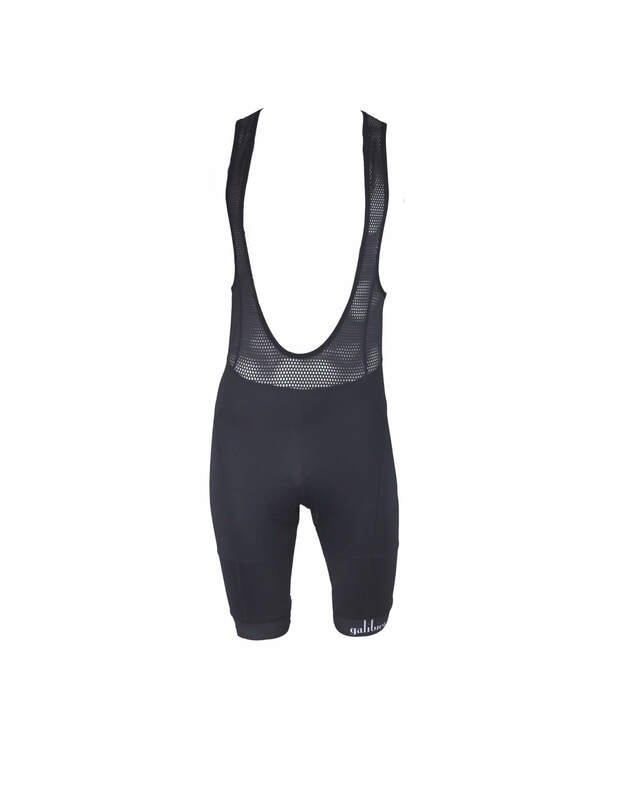 Whilst these are only my second pair of bib shorts ever, by comparison to the ones I had these are streets ahead in terms of fit, comfort and quality. The seat pad seems really thin on first inspection but don’t let that put you off – normally I feel the saddle during my ride and shift around a lot, but I barely noticed anything today. 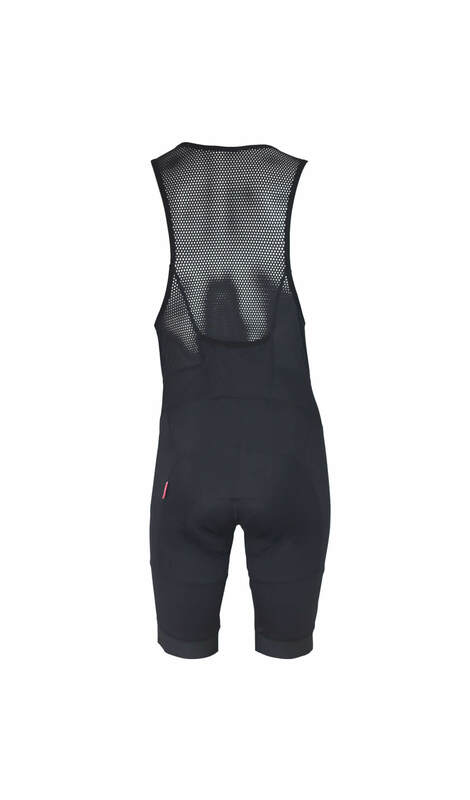 These Peloton bibs are my second piece of clothing I’ve bought now from Galibier (I also have the Mistral 2 jacket which is great) and I certainly plan on coming back again to extend my cycling wardrobe. Great service and quality product! Thanks Miles – keep up the good work!